Are you wondering how your business could use Pinterest? To say there’s been a lot of buzz about Pinterest in recent months would be putting it mildly! Pinterest’s ease of use for visually bookmarking, organizing and sharing things you love has made it a hit among individuals and businesses alike. What follows are 26 tips, an A-Z guide for creating a business presence on Pinterest. One important way to let your clients and prospects know about your presence on Pinterest is to add a Pinterest button. Pinterest has several choices available on their goodies page. Find the one that works for you. 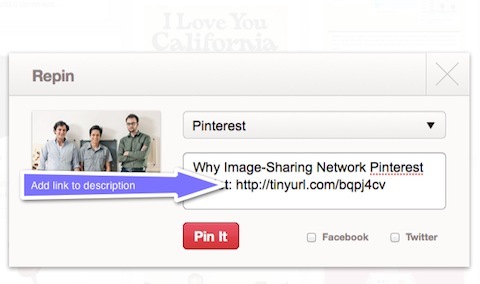 When you add a Pin It button, you can encourage your customers and readers to pin your products onto Pinterest. While Pinterest hasn’t yet created a distinction between a personal profile and brand page (like Facebook), early adopting brands are making good use of their Pinterest presences and the pins and boards they’re sharing. Brian Honigman points out that because Pinterest’s integration with Facebook is still only for personal profiles and not fan pages,* you should choose the email associated with your brand’s Twitter account to set up your Pinterest profile. *Note: Pinterest is one of the 60 new open graph websites and apps that allow a tighter integration with Facebook’s Timeline. Remember to use the email address associated with your company’s Twitter account if you want to link your Twitter and Pinterest profiles. Sharing the West Elm love on Pinterest. Pinterest currently offers Do Follow links. UPDATE: The links from the images pinned on Pinterest have now been changed to “no-follow” links. For now, it appears that “do follow” links can still be added to the pin description. We’ll keep you posted as we learn more. Be mindful of pin etiquette as outlined by Pinterest: be nice, credit your sources, avoid self-promotion, report objectionable content and tell them how they’re doing. 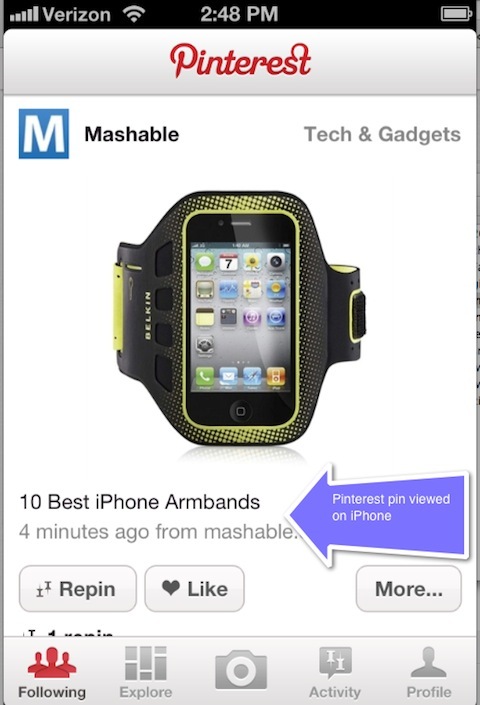 Pinterest users’ likes and interests are easily viewable for all to see. Lauren Drell points out that with millions of people using Pinterest to keep track of objects “they love, places they enjoy, foods they devour and things that inspire them” that marketers can use Pinterest as a focus group. 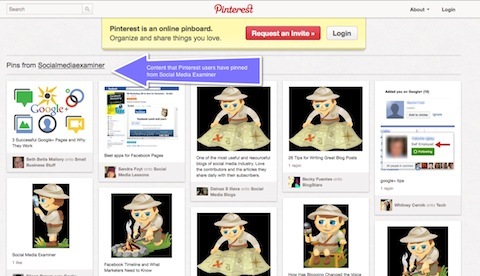 Pin and maintain your boards regularly to keep your Pinterest presence alive and well. If you have a regular update schedule for other platforms you’re on, make a point of going to Pinterest on a pre-determined schedule to see what’s being pinned by people/brands you already follow, everything and popular pins (ones with a high number of likes, comments and repins). By looking at popular pins, you’ll also get an idea of the type of content that the Pinterest community tends to favor. What types of pinboards will enhance your brand image? Whole Foods Market is a good example of a brand on Pinterest. The Pin It bookmarklet lets you grab an image from any website and add it to one of your pinboards. When you pin from a website, Pinterest automatically grabs the source link to credit the original creator. 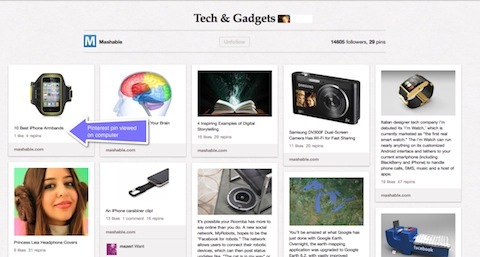 You can find the bookmarklet on Pinterest’s goodies page. 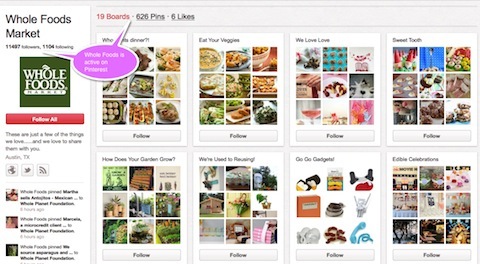 Grab an image and pin to Pinterest in one easy click from your browser window. Feeling like you need to justify to your company why you need a presence on Pinterest? 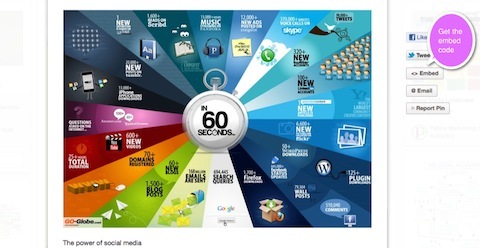 For starters, you can pass along Monetate‘s influential infographic, Is Pinterest the Next Social Commerce Game-Changer? Wow them with this info: Pinterest reached 7.2 million visitors in the U.S. in December 2011, according to Compete. You can always share the Shareaholic Referral Traffic Report that states in January 2012, Pinterest drove more referral traffic than Google+, LinkedIn and YouTube combined. And how the Experian Hitwise report listed Pinterest as the #7 social network, beating out Google+ for share of visits. These should help get their attention! When creating a description for a new pin, you can optimize the pin by adding keywords that users may be more likely to use if they’re searching for specific content on Pinterest. Get a lot of bang for your buck. Add your URL in the pin description. Let other people contribute to your board. 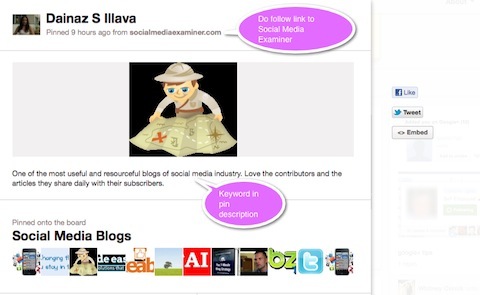 You can also cross-network by embedding a pin directly onto your blog. Click on the Embed button to access the HTML code. 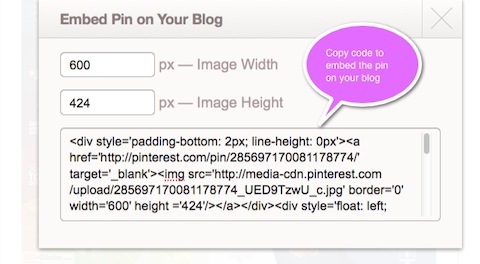 Embed a pin directly on your blog by copying and pasting the HTML code. It’s clear to see that users’ observations and comments are very welcome and appreciated on Pinterest. People like to know that their pin was helpful and their board served as an inspiration. You can mention other users in a comment by typing @username. Engage with pinners by commenting and adding their names with the “@” tag. Curate infographics relevant to your industry. Collect charts to share statistics for your industry. Create more visual content for your followers to share. Don’t list your tips—put tips on a visually appealing slide with a short phrase. Include a photo with each blog post—give your readers something to pin. Because Pinterest emphasizes pictures over text, it’s important to have high-quality photos. Make sure your photos can be pinned; sites in Flash do not allow photos to be pinned. 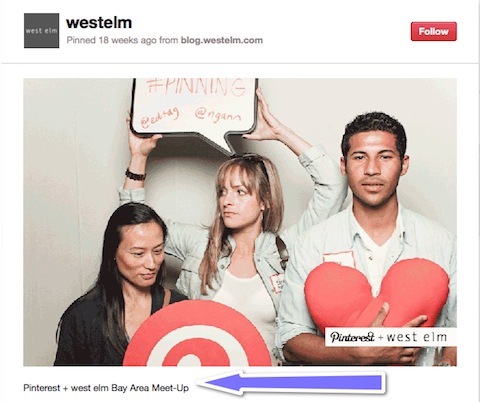 Ensure that photos are tagged correctly on your site so that they index properly within Pinterest. 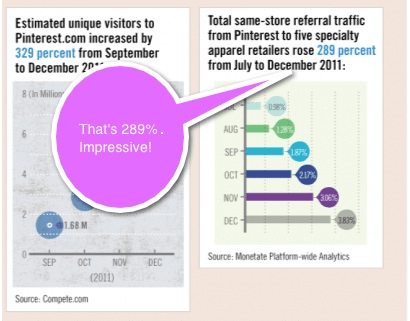 Monetate‘s infographic below shows how referral traffic from Pinterest to five specialty apparel retailers rose 289% from July to December 2011. Pinterest referral traffic has yielded impressive results in a short period of time. If you’re already on Pinterest, do you check your analytics reports? Has Pinterest been a source of web traffic for your business? How does it compare to your other efforts? Want to see what’s being pinned about your company? By using this specific URL, http://pinterest.com/source/socialmediaexaminer.com/, we can see everything that has been pinned from Social Media Examiner. Tip: Substitute your company URL (http://pinterest.com/source/ADD YOUR URL HERE) to see what’s been shared from your website or blog. 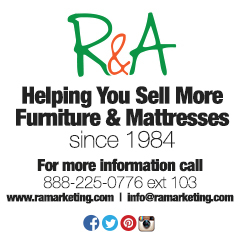 Check out what’s already been shared from your business. Pinterest is a great way to communicate with members of your team. 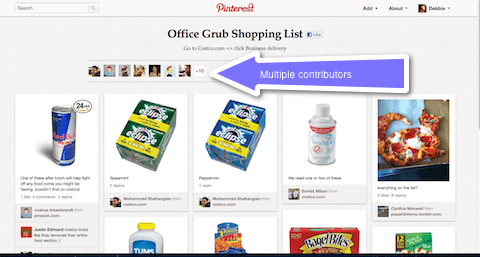 At Pinterest headquarters for example, the team has a board entitled, “Office Grub Shopping List” which is described as, “Go to Costco.com => click Business delivery.” Multiple people at the corporate headquarters pin to the board to keep track of shopping wants and needs. You can also use boards creatively for team-building. Maybe a board about a new business book you’ve read or a link to an upcoming webinar you signed up for? The possibilities are endless! Make your pinboards collaborative team experiences. Brands that are perceived as being helpful to Pinterest users are making a splash on Pinterest. How can you be useful? In the same ways that you might offer thought leadership ideas in your blog posts or white paper, you could use your pins and boards to educate (ideas might include: pin an instructional video, a business book that you recommend, a link to a blog post that you think would make your customer’s life easier or pins to productivity and business apps for smartphones or iPads). Videos have their own distinct section on Pinterest. Brian Honigman suggests another way to draw attention to your videos is by adding annotations—basically a call to action—for your audience to pin videos they find appealing. 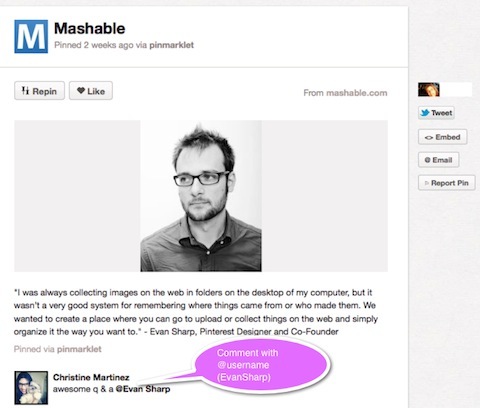 These annotations should tell the visitor to “pin this video to Pinterest” or provide a link to your Pinterest profile. The annotation serves as another reminder to users to engage with you in another way in a different community. Popular pins on Pinterest have three things going for them: likes, comments and repins. Rather than leaving it to users to decide on their own whether to take the time to comment on a pin, you can help create interest by asking a question (e.g., “Guess where was this photo taken?”, “Tell us what you think of our new product offerings.”). 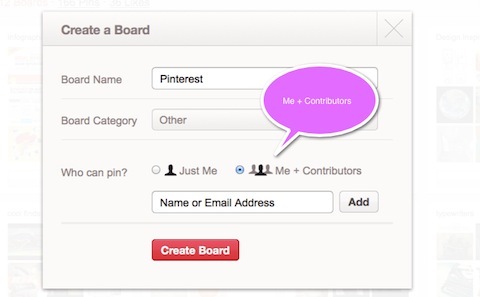 Use your new pins and boards as opportunities to converse with users on Pinterest. 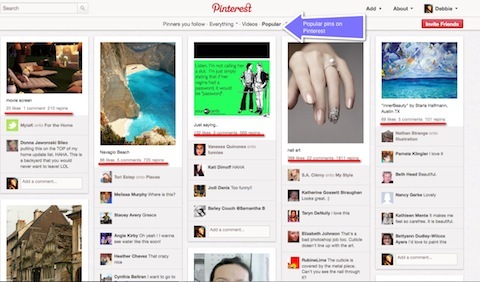 Popular posts on Pinterest contain many comments from users. Pinterest may not be right for every brand. Angie suggests that if your brand has “stunning imagery and develops unique products, Pinterest might be a good fit for you.” She has a list of 13 verticals that can leverage Pinterest. If your business doesn’t fit into these categories, you’ll still want to examine the ways you can use Pinterest. What makes Pinterest intriguing to you? By this point (here at letter “W” in our A-Z guide), we can see that creating a presence for your business on Pinterest may very well be a wise decision. However, it’s always important to not let yourself get caught up in the “next shiny object” syndrome and take the time to assess whether you realistically have the resources to manage another social media platform. What will you decide? Still having a hard time wrapping your head around the appeal of Pinterest? Think of Pinterest as a much-loved zine and a user-friendly way for people to move through content, whether on their desktop or on a smartphone. It’s a visually appealing way for users to interact with products and ideas. Flipping through Pinterest on an iPhone. Scrolling through Pinterest on a computer. What do you think? Will you create a business presence on Pinterest? And if your business has been one of the early adopters, what tips would you add? Leave your questions and comments in the box below.